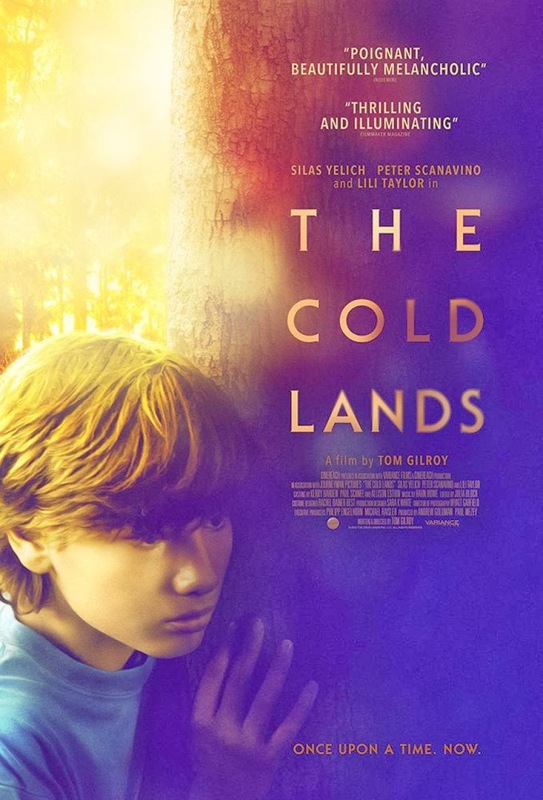 The Cold Lands is about a boy, Atticus, [Silas Yelich] and his mother, Nicole, [Lili Taylor] set in the bucolic Catskills region. If it had been told in any other format - book or campfire tale - it most certainly would have been introduced with the words 'Once upon a time...' for it is essentially a fairy tale. This family lives off the land on the edge of the wilderness and cheerfully forages through other families' detritus for items that may be re-purposed. They will refuse no refuse that they can reuse. One foray yields items that Atticus can use to build a hive while his mother retrieves discarded 35mm transparencies to be used for the family's 'TV' night; on another Nicole does a slow roll by a neighbor's pile while Atticus leans out and does a quick inventory. The setting appears to be idyllic, but all is not well as you soon realize that this is a family perched precariously on the edge. The family is desperately poor. Nicole splits the pills required for her illness and thus imperils her life. There is no electricity in the house so she takes all the electronics with her to recharge at her after hours job cleaning offices. A neighbor, despite Nicole's protestations, brings food over for the family. All is not well in paradise. Later when returning from a friend's birthday party, Atticus sees an ambulance in front of his home, hears the neighbor speak of his mother in the past tense ['She had a son.'] and realizes that he is now on his own. This begins his odyssey through the cold lands where he eventually meets up with Carter [Peter Scanavino], a slacker who almost immediately loses his latest job. The two drift around aimlessly as Carter enlists Atticus in his plan to score by making jewelry to be sold at county fair. This is a beautifully shot movie with the upstate Catskills region as the main character. The family cat, Archie, who purrs as loudly [almost] as a Harley Davidson as he prowls around the house, is adorable. The sounds of nature - the trill of the birds, the gurgling of a brook, the hoot of owls - exquisite. In one scene, after the battery in the lamp in the house dies, Atticus with Archie in tow continues the song he has been practicing on the trombone as walks outside into the wilderness. His performance is greeted enthusiastically by the wolves, coyotes and other wildlife prompting Atticus to beat a hasty retreat after securing Archie. In his lone encounter with fauna, Atticus encounters a doe that allows him to pet her. If this were a travelogue, it would be spectacular. 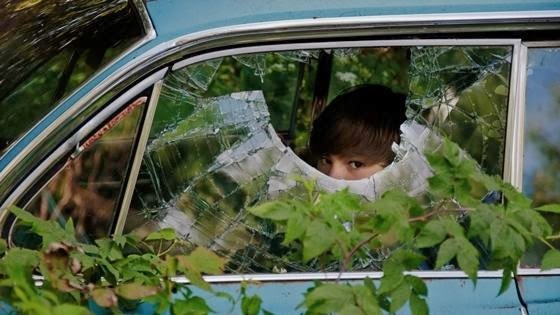 Unfortunately, with the death of Nicole, the movie meanders aimlessly as if in search of a solution. Solid, but sadly minor performances were turned in by Nick Sandow, who has had a number of turns in Law and Order and other TV series, as the foreman at the country club; and John Ventimiglia [Sopranos, Mickey Blue Eyes] who has a small role as Jackson. Overall, I would recommend waiting for this on Netflix or Hulu. If you can't wait it is out in limited release in New York beginning tomorrow.